We are a kiwi family-owned business and have been operating since 1994. Our company is still owned and managed by William (Bill) and Emilie Delaney. We specialise in Mitsubishi Electric heat pumps for both residential and commercial markets and provide a simple to use but very sophisticated system. Our heat pumps operate quietly and without fuss to heat your home in winter and cool it in summer with the press of a button. We proudly support sports organisations such as the Gateway Programme through local Colleges and we support schools with sponsorship. We employ 12 full time staff who are site safe accredited and all hold current first aid certificates and All staff are employed by our company – no sub-contractors. All staff members undergo health and safety training, first aid certification and site safe passports. We are proud of our reputation for friendly service, knowledge and technical expertise. Heat and Cool are a brand you can trust. We are the leading supplier and installer of Mitsubishi heat pumps and air conditioning units for the domestic market in Auckland. Our aim is to give our customers the best product on the market. For this reason, we choose to work with Mitsubishi heat pumps and air conditioners because we believe they are the best. We want to make your lives easier by making your home a better place to live. Heat and Cool has built up a solid reputation over the last 15 years and we are proud of our service, our staff and the Mitsubishi Electric products we have chosen to represent. Our customers are our advocates as you will see from the testimonials they have sent us and we know that every one of our customers who has had a heat pump or air conditioning unit installed in their home is now a healthier and happier family. In winter when colds and ‘flues abound and the weather is dark and cold, there’s nothing more comforting than walking into your cosy, warm home (all our heat pumps can be safely set on a timer to come on whenever you programme them). It’s so easy you will wonder why you took so long to get one! What area does Heat and Cool cover? We service all of the Auckland area. While our grass roots are and have always been in West Auckland, we operate extensively throughout the greater Auckland area for your convenience. How do I know what size heat pump I need for my home? We will help you with this when we come and visit and have a look at the size of your home. You can call us on 09 827 4784 or send an email to: sales@heatandcool.co.nz and we will get one of our sales team to contact you to make an appointment. Can I see the heat pumps you sell? You can visit our showroom at 20 Clark Street, New Lynn, Auckland to see our products and talk to our team. For an obligation free quote phone 09 827 4784 and see our range of residential and commercial products first hand. Which products do you recommend and why? At Heat and Cool we have chosen to work with Mitsubishi Electric. They are the leading brand with superior technologies and we believe they offer the best heat pumps and air conditioning units. Our partnership with Mitsubishi Electric is very important to us and working closely with them we have been able to secure our position as the leading installer or heat pumps and air conditioning units in Auckland for many years. Mitsubishi heat pumps are not only designed for superior heating and quietness but for those with even the most discerning style. 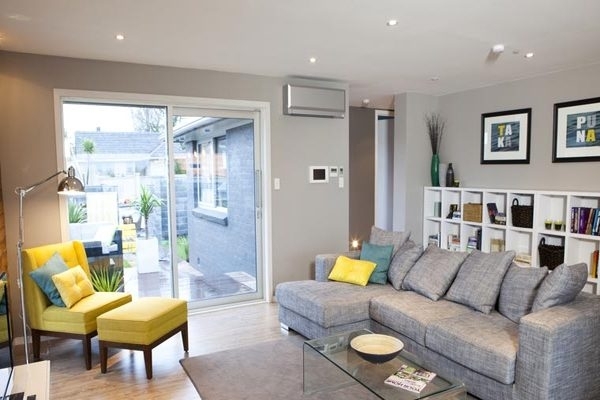 Their range features heat pumps and air conditioning units of many sizes and colours and with elegant clean lines – you can see all the different models here. What safety considerations are there for any installation? Safety is paramount in all our installations and service and our company policy is to supply a ‘Certificate of Compliance’ for all installations. All our trusted and reliable staff are employed by our company so we know that you are in good hands. We don’t use sub-contractors. We place a big emphasis on training and all our staff undergo Health and Safety training, First Aid Certification and Site Safe Passports. This gives our company the confidence to send them to you and an assurance that they are fully equipped and capable to handle any situation that may arise. Which brands of heat pumps do you service and maintain?